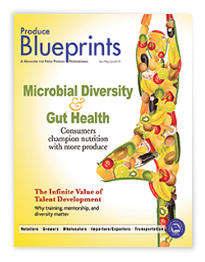 The new ProduceBlueBook.com offers expanded news and analysis from the produce industry’s leader in business information you can trust. 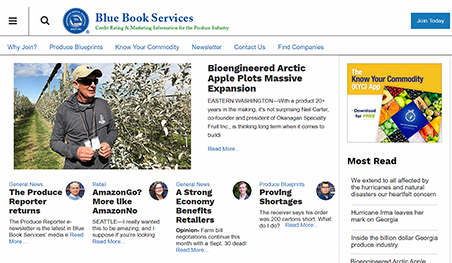 If you visited www.producebluebook.com recently, you may have noticed big changes. We’ve redesigned the site to offer expanded news and analysis, in addition to the member benefits you’ve enjoyed in the past. The first thing you should notice is more stories, from the latest featured news to web-optimized coverage from our Produce Blueprints quarterly journal. Produce industry members can read stories on the site for free, and Blue Book members will find links to access credit and business information, trading assistance and other services, just as before. Blue Book Services is proud to offer unmatched credit rating, marketing and business information, and now trusted news and analysis on the fresh produce industry. This is just the start of the journey. Expect more from us, very soon.